I have heard a million people say this but I will say it again, I cannot believe that it is already the end of April! 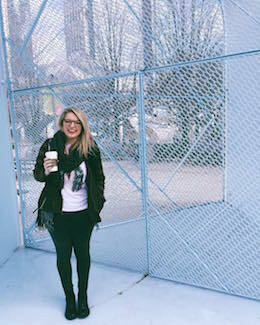 I didn't have a ton of favorites this month but I thought I would pop over and share a few things that I have been really loving. Paper Towns by John Green | I had heard such great things about this book and have always enjoyed John Green's writing so I decided to pick it up. Soon after starting the book I fell absolutely in love with this story. So much so that I am writing a separate blog post dedicated to some of the wonderful thoughts and ideas discovered from this book. I would suggest Paper Towns to absolutely anyone that enjoys a compelling, thought provoking adventure! 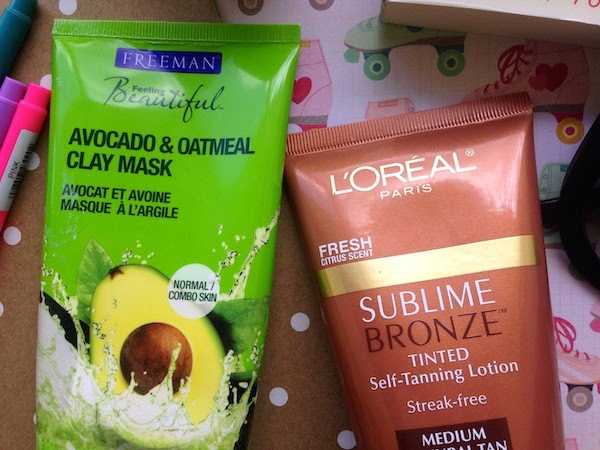 Freeman Mask in Avocado & Oatmeal Clay | The Freeman masks have been a long time favorite as they are quite affordable and generally do a wonderful job. As my skin has been having a real moment I have been trying to take really good care of it and use a good rotation of masks for maximum hydration and to keep everything clear and this one has been great to pop on. 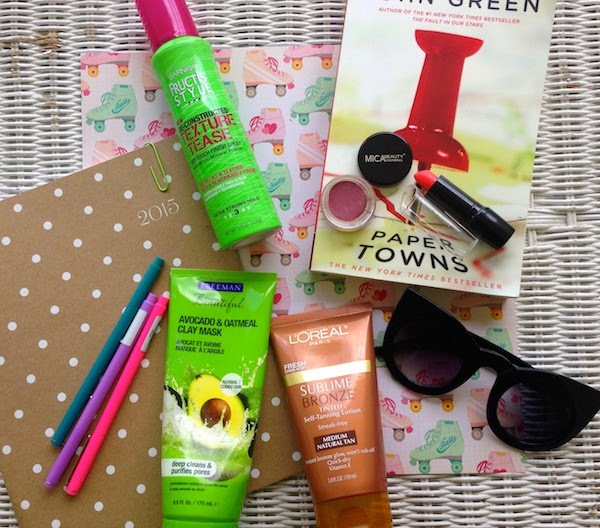 L'oreal Sublime Bronze Tanning Lotion | As a girl that burns quite easily in the sunshine I try to curb my paleness with a bit of sunless tan as we enter the warmer months. Last summer I started using this self tanner and I find this is a very nice subtle yet buildable color. I use it with the Ulta Sunless Tan Mitt. It generally doesn't streak on me unless I am doing it without paying much attention then I can get an odd spot or two but they fade out quite evenly! Wet n Wild Silk Finish Lipstick in 'What's Up, Doc?' | Now that Spring has arrived it has finally become socially acceptable to bring out the bright lippie colors. Recently I picked up the Silk Finish Lipstick in 'What's Up, Doc?'. It is a orangey red that I am absolutely in love with. For a ninety-nine cent lipstick it is quite long wearing and the pigmentation is excellent. I expect to get quite a bit of wear out of this as the months get warmer and the makeup gets bolder. 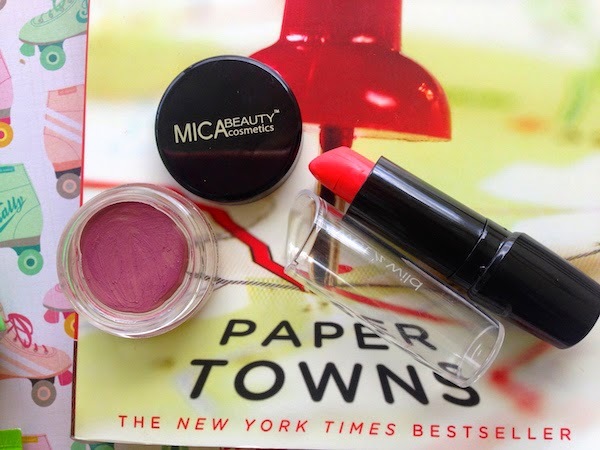 MICA Beauty Tinted Lip Balm in #5 Natural | I received this product in an Ipsy bag several months ago and quickly forgot about it. When cleaning out some of my makeup drawers I came across this product and decided to give it a try. Turns out it is the most beautiful mauve, your lips but better color. It has surprisingly good coverage for a product intended to be a lip balm. Nothing quite better than rediscovering something in your makeup stash! Garnier De-constructed Texture Tease | If there is one thing I hate it's the feeling of really clean hair. I cannot get my hair into any type of style I remotely like without injecting a bit of grit into my locks. 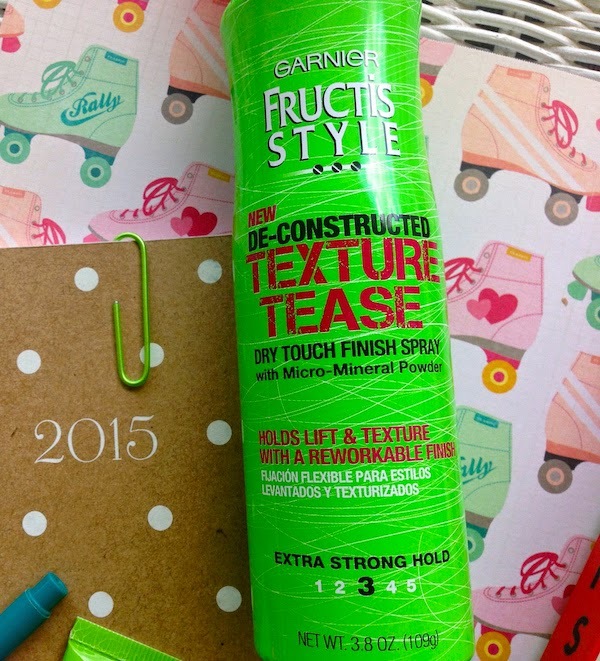 I have been loving this texture tease spray. It is great to freshen up beachy waves and is so reasonably priced it has become a daily go to product for me this month. 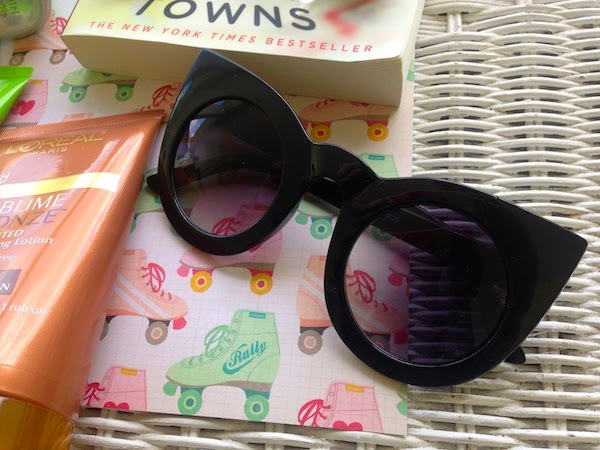 Over Sized Cateye Sunnies | On a random Amazon search a few weeks ago I decided I was in desperate need of a dramatic pair of cateye sunnies. And dramatic they are! When I received them in the mail they were most definitely larger than I had expected but I quickly fell in love with them. I'm not going to lie I feel like people are really judgy towards these, but then I remember I don't really care because I adore them! What have you been loving for the month of April?